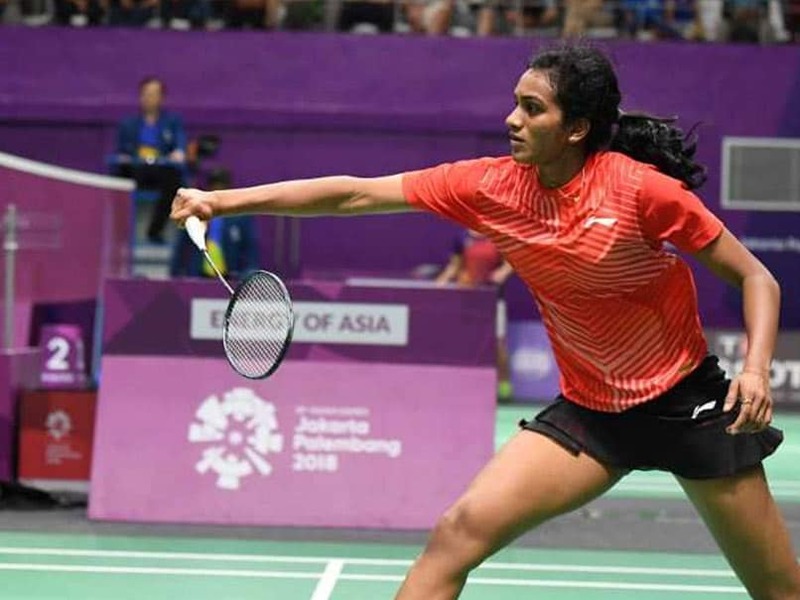 Highlights, Asian Games 2018 Badminton Final: PV Sindhu suffered a 13-21, 16-21 loss to World No.1 Tai Tzu Ying in the women's singles badminton final. 12:55 IST: PV Sindhu loses 13-21, 16-21 in the final, gets silver. 12:54 IST: Match point for Tai Tzu Ying. 12:53 IST: Superb smash from Sindhu. She is trying to turn things in her favour. She trails 15-19. 12:52 IST: Point for Tai Tzu Ying. She is two points away from victory. 12:51 IST: Back-to-back point for Sindhu. She still trails 13-18 in the second game. 12:50 IST: Tai Tzu Ying three points away from title win. 12:49 IST: Five-point lead for World No. 1 Tai Tzu Ying. 12:48 IST: Another forced error for Sindhu. Point for Tai Tzu Ying. 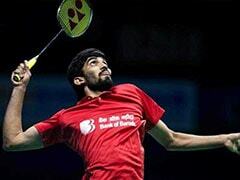 The Indian shuttler trails 10-15 in the second game. 12:46 IST: Wonderful smash from Tai Tzu Ying. Sindhu fails to collect it. She still trails 8-13 in the second game. 12:45 IST: Tai Tzu Ying leads 11-7 at mid-break of second game. 12:44 IST: Tai Tzu Ying takes 10-7 lead. 12:42 IST: Three point deficit now. Sindhu trails Tai Tzu Ying 5-9. 12:41 IST: Back-to-back points for Tai Tzu Ying. The Chinese Taipei shuttler leads 8-5 in the second game. 12:38 IST: Excellent drop shot from Tai Tzu Ying. Sindhu ducks. Tai Tzu Ying gets a point. 12:33 IST: Brilliant smash from Tai Tzu Ying. Sindhu fails to collect it. The Indian trails 13-20 in the opening game. 12:32 IST: Point for Sindhu but she still trails 12-17 in the opening game. 12:30 IST: Back-to-back points for Tai Tzu Ying. 12:29 IST: Sindhu gets a point just after the mid-break. She trains 9-11. Two point deficit. Can she make a comeback? 12:28 IST: At mid-break of the opening game, World No.1 Tai Tzu Ying leads 11-7 against PV Sindhu. 12:27 IST: Another point for Sindhu. The Indian makes it 7-10. 12:26 IST: Forced error from Tai Tzu Ying. Sindhu gets a point. She still trails 6-10 in the opening game. 12:25 IST: Tai Tzu Ying is cruising right now. She leads 9-5. 12:24 IST: Smash from Tai Tzu Ying. She takes 7-4 lead against Sindhu. 12:23 IST: Brilliant drop shot from Sindhu. She still trails 4-6 in the opening game. 12:22 IST: Loud cheer as Singhu gets first point of the final clash. 12:21 IST: Brilliant start from Tai Tzu Ying. She takes 5-0 lead in the opening game. 12:20 IST: Back-to-back points for Tai Tzu Ying. The World No. 1 leads 2-0 in the opening game. 12:19 IST: Tai Tzu Ying wins first point of the match. 12:18 IST: Both players are ready. Tai Tzu Ying will serve. 12:16 IST: Both players - PV Sindhu and Tai Tzu Ying - are warming up. 12:15 IST: A loud cheer for Sindhu as she enters the GBK-Istora badminton arena. 12:13 IST: The wait is over! India's badminton star PV Sindhu has arrived. 11:13 IST: Sindhu will have a great chance to add a Gold medal in her cabinet. 11:11 IST: Sindhu lost a close 2018 Commonwealth Games final at Gold Coast, Australia to compatriot Saina Nehwal and brought home a silver medal. 11:10 IST: Sindhu is yet to win a singles title this year, although she made it to four finals - India Open, Commonwealth Games, Thailand Open and BWF World Championships. 11:09 IST: Sindhu will be playing her fifth final this year. 11:08 IST: Sindhu has not beaten Tai Tzu in their last five meetings and the Chinese Taipei player enjoys an overall 9-3 dominance over the Indian shuttler. However, silver-medallist Sindhu managed to defeat Tai Tzu at the 2016 Rio Olympics. 11:07 IST: Sindhu, who has a long-standing rivalry with Tai Tzu, insisted that she has a plan in place to outsmart the best player in the world when they meet in the summit clash . READ: "I have a strategy in place for her." 11:01 IST: Sindhu defeated Japan's Akane Yamaguchi in the semi-finals and now will face World No.1 Tai Tzu Ying in the gold medal match. 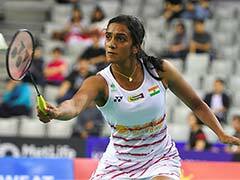 11:00 IST: Hello and welcome to the Live coverage of Asian Games 2018 badminton final between PV Sindhu and Tai Tzu Ying. Sindhu was sluggish at the start, making unforced errors but recovered quickly to be in control. Yamaguchi played an attacking game but the tall Sindhu had strokes to counter her rival. Sindhu dominated the rallies and created an 11-8 lead at first break. The Indian remained solid at the net, using a variety of stroke to force the Japanese world number 2 to make errors. A long rally ensued at 20-17 but Yamaguchi sent a smash wide to put the Indian ahead. In the second game too Sindhu remained the dominant player but unforced errors crept in and she lost the lead. Yamaguchi pulled off a stunning point, leading at 14-12 after forcing an error from Sindhu, who kept retrieving the shuttler, using one smash after another. Sindhu struggled to contain errors from there and lost the game by hitting a forehand wide. The Indian reeled off four points in a row to shoot to 7-3 in the deciding game, before taking the break with a 11-7 lead. She also won a sensational 50-shot rally to pull away 16-8. With such a big lead at hand, Sindhu finished the match in her favour with a superb smash. World number 10 and Olympic medallist Saina played with good intensity but lost 17-21 14-21 to a superior Tzu Ying, who stood out with her court coverage and retrieving in the 32-minute contest. Coming into this match, Saina had lost last nine matches against Tzu Ying, including three in the 2018 season.